As anticipated during the National Congress of Mycology in Cadiz, we want to kick-start with the tasks of the Group specializing in the Epidemiology of Cryptococcal disease and launch a new stage in the clinical and environmental localization of this yeast. Without a doubt you would know that the incidence of Cryptococcal disease by Cryptococcus neoformans has declined around the world, while Cryptococcus Gattii has been changing its epidemiology and has increased in prevalence in cold and milder regions. 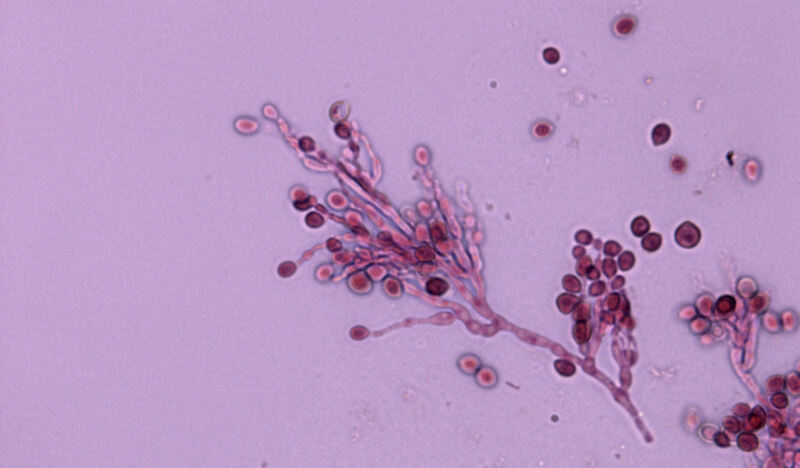 Since the first outbreak of this illness on the island of Vancouver (Canada) in 1999, there has been an expansion of hipervirulent strains of C. gattii detected with consequent appearance of serious cases of Cryptococcosis along the North coast of the Pacific of the United States and in mainland Canada. On the other hand, in different regions of the world including Mediterranean Europe there have been cases of Cryptococcosis C. gattii in humans and animals and the yeast was detected in very different tree species. Spain led the discovery of detecting and describing the presence of C. gattii in Europe and was the first to describe its presence in indigenous trees of the Mediterranean. In the year of 2013 an initiative commenced in the study of the epidemiology of Cryptococcal disease in Europe, coordinated by the framework of ISHAM and Teun Boeckhout in CBS (Utrecht, Netherlands). The intention was to detect the clinical and environmental presence C. gattii’s and to study its presence in Europe and to contribute to the already existing studies of this pathogen going through interesting epidemiological change and those who suffer from this around the world. Local coordinators in many European countries are negotiating the methods and working tools to move ahead with this work. In Spain we will continue the coordination of the study from Alicante at the University of Miguel Hernández, where samples, isolating experiments and any kind of information that can contribute to the study can be sent. The attachments provide the standards in order to facilitate data from both clinical cases (human and animal) and corresponding data from isolation of the pathogens. In addition there is a summary of the procedure of tree sampling and subsequent identification of Cryptococcus, for those interested in becoming part of the Group specialized in epidemiology of Cryptococcal disease and those who want to do environmental research. Any contribution to the study will be considered for the purpose of authorship of work, acknowledgements and other awards. For any additional questions please do not hesitate to contact via phone or email or other any other means to receive information. It is hoped that the study will be of interest and that together we will be able to produce a complete map of the location of Cryptococcal disease in Spain, contributing to the existing knowledge about the disease and any information of this pathogen in Europe and in the world. Thank you very much in advance, with warm regards.